I have some time to blog!! 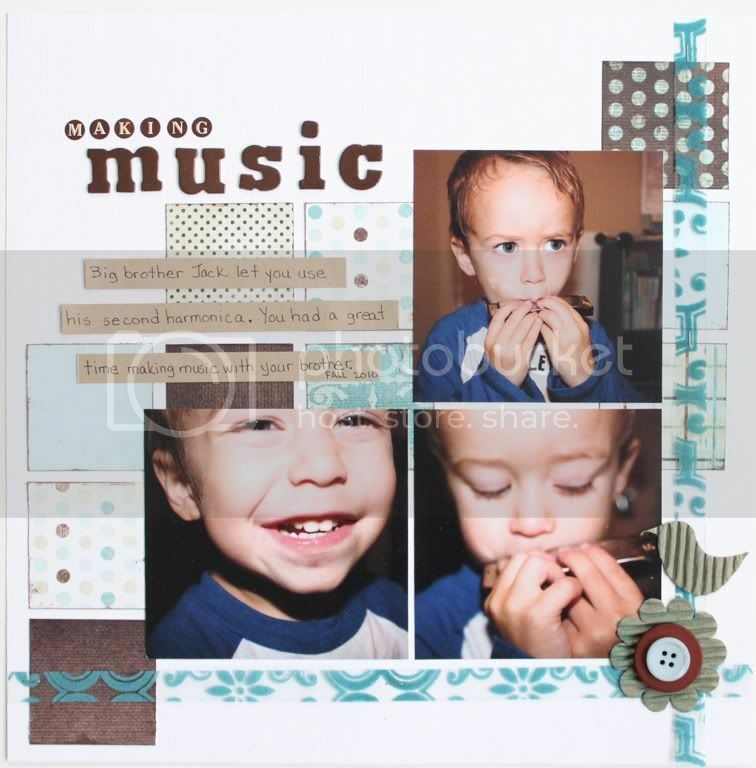 My poor little blog has been so neglected lately, I haven't got much scrapbooking done either. Between being sick for two weeks, my volunteer positions requiring my attention and my hubby out of town for 4 days my "spare time" vanished. I need to start scheduling my volunteer activities along with my business paperwork and my crafting! Scrapbooking is a stress release for me, it helps keep me happy so that's something I don't want to be away from for extended periods of time. I'm grateful to have a hobby I enjoy so much and always keeps me interested. On that good note, here are my latest two layouts which bring my goal of 50 layouts up to a whopping 9. Yes I have a ways to go but it will be fun trying to get there! 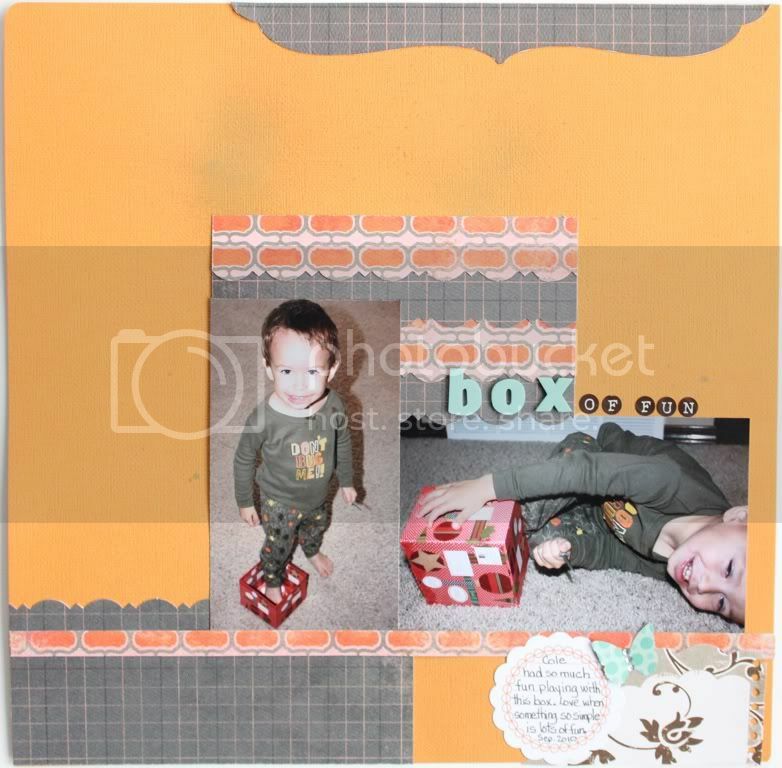 This layout uses supplies from the Fancy Pants Happy Together collection. It's based on the January 2011 page maps calendar sketch. This layout uses MME patterned paper, thickers, Jenni Bowlin alphas a Jillibean journaling spot, a piece of a journaling block from Making Memories, a bit of bling on the butterfly that's hard to see and glimmer mist on the background that's a bit tough to see. It felt so good to complete these and that was a sign to me that I'm over my cold since I had the motivation to scrapbook!